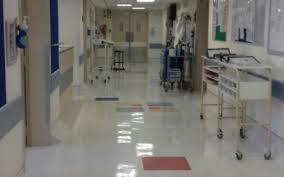 A ZIMBABWEAN mental patient was allegedly murdered in a South African hospital ward. The man’s family said they reported to the police that Tapiwa Chipika (33) had been killed after seeing marks on his neck suggesting that he had been strangled. Doctors at Stellenbosch Provincial Hospital in Cape Town had said he died of natural causes. South African police are now investigating a case of murder. According South African media reports, Chipika, was admitted to Stellenbosch Provincial Hospital on March 11 where he was supposed to receive treatment for schizophrenia and an eating disorder. Chipika, a horse groomer who has been living in the neighbouring country for the past six years, had reportedly gone missing for days. His brother, Mr Solomon Shumbanhete, who went to South Africa to look for him, found him wandering around near Klapmuts train station and took him to hospital. Mr Shumbanhete wanted to bring Chipika back to Zimbabwe because of the deceased’s medical condition. Doctors, however, told him that Chipika was mentally unfit to travel and would need to be hospitalised longer. Mr Shumbanhete told a South African newspaper, Weekend Argus, that he had been informed by hospital staff that his brother would be kept overnight for treatment and observation at the hospital’s psychiatric ward and discharged on the following day. “It was only after family friends viewed the body at the hospital that they found strangulation marks on Chipika’s neck and eventually concluded that he had been killed,” he said. Ms Priscilla Chidzonga, a family friend said when they arrived at the ward there were indications that Chipika had been strangled. “The nurses were actually surprised when we said Tapiwa was murdered. They actually thought that we were just going to look at him and that’s it. But, we checked everything and the room was a mess and you could tell something violent happened in that ward,” she said. Mr Shumbanhete said when he went to the hospital to visit his brother during visiting hours on the day of his death, he was told he could not see him as he was asleep. “I insisted that I just want to see his face and the nurses refused and said they were not allowed to do so,” he said. Mr Shumbanhete said later in the evening he received a call from a friend informing him of Chipika’s death. Ms Megan Sonnenberg, the Cape Winelands District Health spokesperson, confirmed the death, saying the matter has been referred to forensic services for an autopsy to determine the cause of Chipika’s death. South African provincial police spokesperson for Western Cape, Sergeant Noloyiso Rwexana said they suspected Chipika was strangled. “There were laceration marks around the deceased’s neck and we suspect he could have been strangled, but however, we are still investigating,” he said. Ms Friederike Bubenzer, a mental health expert at the South African Institute for Justice and Reconciliation, said there is oversight of the security of mentally ill patients at hospitals in the neighbouring country. “We need to invest huge amounts of resources in taking care of the most vulnerable beings in society,” she said. Her comments follow recent reports in which more than 140 mentally ill patients died of either starvation or dehydration after they were transferred from Life Healthcare Esidimeni to 27 unlicensed non-governmental organisations’’ facilities in Gauteng.